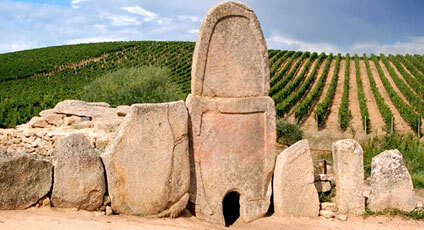 Situated on a hilltop, Arzachena is dominated to the East by an enormous mushroom shaped granite rock called "Lu Monti Incappiddatu", and to the North by another hill. 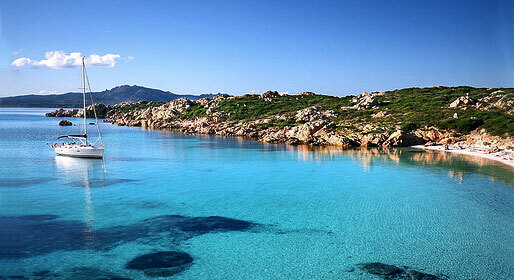 In a geographical area known as "Gallura", in the Northern part of Sardinia, Arzachena, together with Porto Cervo is part of the Emerald coast and comprises over eighty kilometres of coastline rich in bays, gorges and beaches, perfect for those searching for a place where to completely relax. In addition to the natural beauty of the territory, Arzachena boasts a architectural and cultural heritage of great interest; the town, in fact, has a number of Churches well worth visiting: the Tempio Nuovo, the Church of St Lucia, the Church of St Maria della Neve, the Church of St Petru, the Church of St Lucia of Agliuledda, the Church of St Ghjuanni d'Alzachena, the Church of St Miceli Sanna, the Church of St Tummeu and the Church of St Giuseppe in Surrau. Arzachena is within easy reach of Olbia, city with both port and airport for connections to the mainland.